Once you've reached this page, click the blue "Add Nearmap" button in the bottom left. 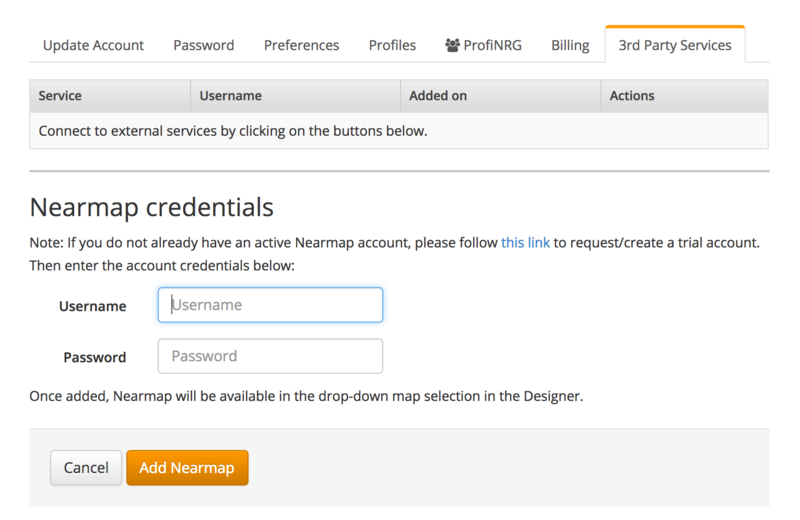 After clicking the blue button, you will be able to enter in your Nearmap account and password in the provided fields. Congratulations! Your Nearmap account has now been connected to your HelioScope account, and should be available as an imagery option in the designer.